There were concerns a few years ago that the traditional mail service was becoming largely redundant, as people began sending each other letters ever less frequently, preferring the substantially faster method of email and then social media sites like Facebook and Twitter. The term snail mail was jokingly used to describe the Post office delivery of traditional letters, but it is the same introduction of technology that has given rise to the postal services resurgence and importance to our lives. E-commerce has meant that we have taken to shopping online, rather than visiting the local stores, and with every such purchase we make, we need the post office to deliver it to us. A whole new industry has grown out of the development of shopping online, being the packaging which is required to deliver that which has been purchased from the growing number of e-retailers. Gone are the days when we used a few sheets of brown paper and some string or sticky tape to seal up our parcels, as every post office has a myriad of options in small and large, or padded envelopes, along with a selection of sturdy boxes in every size we could possible need, with which to dispatch those bits and pieces. 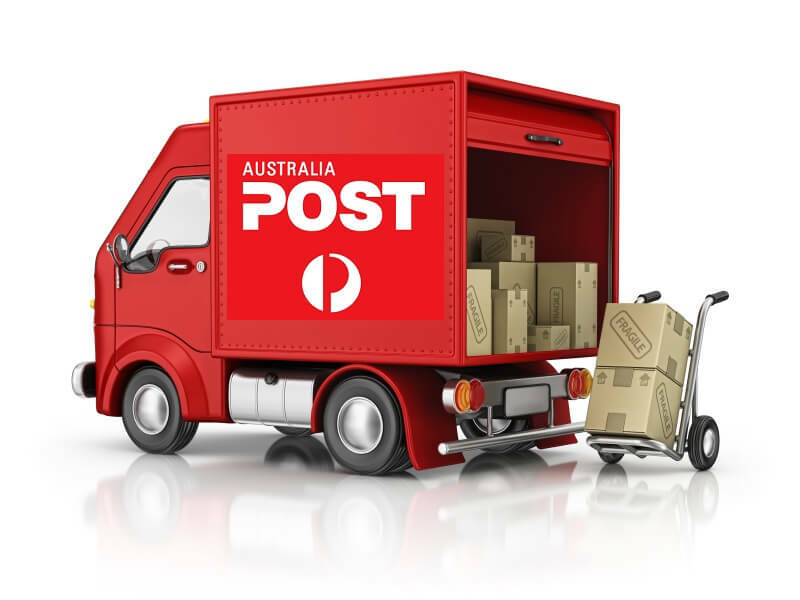 Of course, the traditional Australia Post mailing boxes are nice and sturdy and extremely functional, but at the end of the day, they are really not much more than a fairly simple plain looking box. Australia Post has been doing a roaring trade in selling them though, as ever more parcels travel across the country from retailer to consumer. The marketing world is never slow to catch on to an opportunity of course, and they quickly realised that the simple parcel was a great vehicle with which to add product advertising and corporate branding, all while enhancing the online shopping activity experience for the consumer. Smart retailers have jumped on the bandwagon, so often these days when a parcel arrives, we don’t even have to open it to know what is inside, as the drab box has been replaced with one offered in a variety of different colours, with product images and company logos adorning them, which really do stand out. Today, there are quite literally tens of thousands of different off the shelf options available, for just about every product sector you could think of. Foods and wines, shoes, wedding gifts, hat boxes, shoe boxes, jewellery, in plastic, cardboard, with all manner of labels, tags and gift wrapping extras freely available to help enhance the parcels image. All of it can be printed with whatever is required by the customer, to provide whatever message is required, adding panache and perceived extra value to the product about to be delivered. As ever more companies appreciate the opportunity to both deliver their order, and enhance their product and company image simultaneously, this is an area that is highly likely to see even higher levels of growth than has been the case thus far. Those involved in E-commerce would be wise to wake up to what is occurring in the sector, as once left behind, it is always very difficult to catch back up again.